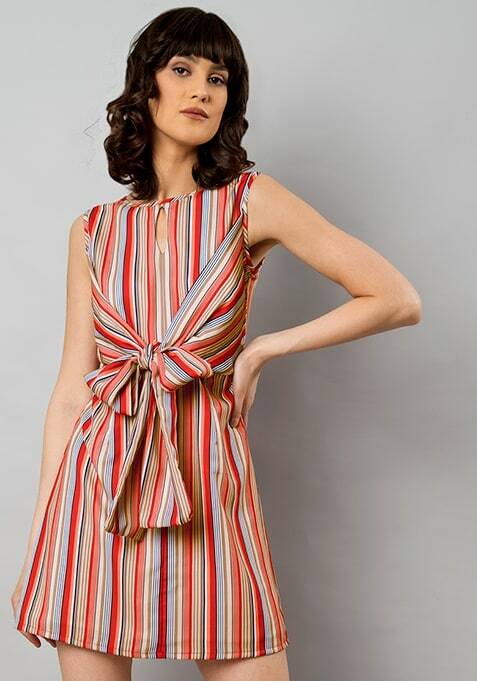 Experiment with some colors this season by grabbing this red-beige stripe dress that is equal parts comfortable and stylish. Features a front tie-up and key-hole neck. Work It: Style this dress with sneakers and complement your look with stylish accessories.